We've got workers compensation carriers with huge appetites for restaurants and bars. See if your restaurant or bar qualifies for one of our Target Hospitality Programs. Regardless of which segment of the bar and restaurant industry your business gets classified, we offer access to lower cost programs with a lot of carriers who consider these class codes as a target markets. Some of our insurance companies even offer standard credits and discounts for restaurants and bars. Members of the Restaurant Association may receive a 10% policy credit on their quote. 9082 Restaurants with a traditional wait staff often belong in this code unless they can, otherwise, be classified into another code due to unique aspects of their business such the percentage of alcohol sold, catering, entertainment, etc. 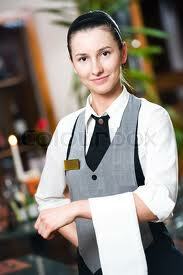 Traditional restaurants typically have servers who wait on the customer and receive gratuity or tips. 9083 Fast food restaurant will typically fall under this classification unless state specific rules require an alternate code. These types of restaurants could include standard fast food providers serving hamburgers, tacos, pizza, and sandwiches. Gratuity is generally not expected with fast food. 9084 Restaurants who receive more than 50% of their revenue from the sale of alcoholic beverages such as beer, wine, or liquor typically belong in the 9084 classification. This class is often used for bars, nightclubs, lounges, taverns, etc. 9058 Restaurants that are owned or operated in or by hotels will typically fall under class code 9058. For hotels, this code will often includes servers, cooks, kitchen help, bartenders, and managers. It may also include musicians and entertainers. 9053 Applies in CA, NJ, and OK. May include restaurant or tavern employees located in clubs such as swimming, tennis, and fitness clubs. 9079 Applies in CA, MA, NJ, OR, and TX. Depending on the state, this code could apply to vending, restaurants, bars, taverns, caterers, dance halls, and hotels. 9072 Applies to NY only. Includes fast food restaurants. 9071 Applies to NY only. Includes full service restaurants, buffets, diners, and other establishments providing wait service. May include musicians. AmTrust offers program rates nationwide and a multi-line discount when you package workers compensation with a Business Owners Policy including liability and property coverage. Patriot Underwriters has a strong appetite for bars and taverns with higher mod's and prior losses. They will quote with security and live entertainment. First Comp offers very competitive rates on both fast food and fine dining restaurants in many states that other carriers are less competitive. Accident Insurance Company has some of the lowest filed rates for bars and restaurants in the states they are licensed to offer workers comp coverage. Employers is national carrier with the lowest filed rates for restaurants in many states. They offer a 10% credit to members of the Restaurant Association. Hartford workers compensation insurance comes with broader coverage and additional policy credits for restaurants and bars that qualify. We offer additional quote options from some of our other insurance companies depending on your state, nature of business, and claims experience. Give us a call today to learn more about our programs for bars and restaurants. And to see if your business qualifies for lower cost coverage on workmans comp. A lot of agencies have access to insurance markets that offer workers compensation coverage for bars and restaurants. But we offer exclusive hospitality programs with lower class code rates so you find the best deal on coverage. Start an online quote for your restaurant or bar to see if you qualify for the best prices on your next policy. Or give our Specialists a call today at 888-611-7467.